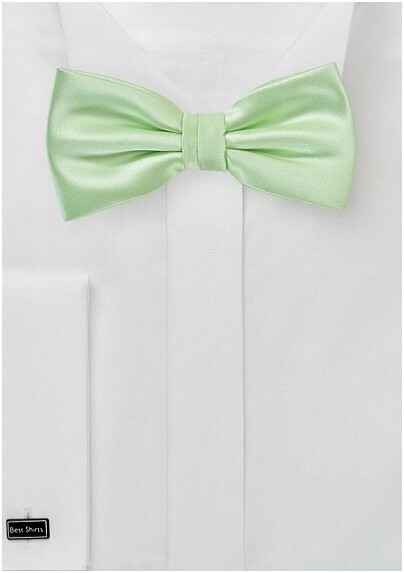 Freshen up the stale disposition of your neck wear collection with the addition of this soft mint colored bow tie. Think of this alluringly colored accessory as the Altoid of your wardrobe. The microfiber make up of this item will take your look from banal to spectacular in 2.5 seconds. Wear it with some blue jeans and a crimson sweater for the perfect seasonal look that will get you notices for your savvy prowess. 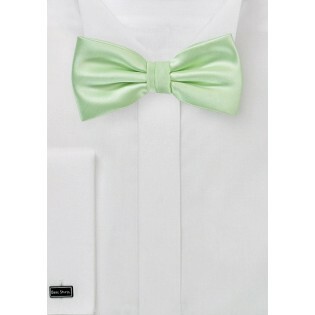 Style: Pre-Tied | Length: Adjustable to 19.5"